Our healthcare system has trained a lot of people to believe that conservative care – like chiropractic treatment – is not a legitimate option. There are a lot of misconceptions surrounding chiropractic care, and unfortunately, they often prevent people from seeking what could be extremely effective and safe treatment. We’ve heard just about every myth you can imagine, so we’ve put together this list of some of the most common misconceptions. For starters, a chiropractor does a lot more than “crack your back”. Chiropractic is a medical treatment, and practitioners are highly trained to manipulate the spine and joints in a safe, effective manner. Cracking your own back could be quite dangerous and lead to future injury. Also, it simply is not possible to adjust your self safely and correctly. If you are an insured American worker, chiropractic may be a lot more affordable than you think. In fact, up to 87% of insured Americans have coverage for chiropractic treatment. If you aren’t sure whether you are covered, contact your insurance company. You may be surprised to find out that your treatment would be extremely affordable. The length of your treatment depends on numerous factors. In fact, patients receiving treatment for acute injuries may not need continued treatment. Others have chronic conditioners that respond best to ongoing treatment. You never have to keep seeing your chiropractor. However, many patients choose to do so once they start experiencing the benefits for themselves. Accidents can happen in any medical field, but they are extremely rare during chiropractic treatment. Chiropractic is a safe, drug-free treatment with an excellent safety record. Many patients experience immediate relief after an adjustment. A bit of soreness or achiness after treatment is common, and it is completely normal. Believe it or not, treatments like over-the-counter medications, prescription painkillers and anti-inflammatory drugs are actually riskier than undergoing chiropractic treatment. Most American adults know little about the education requirements for chiropractors. Doctors of Chiropractic must successfully complete extensive education programs in areas like physiology, anatomy, rehab, public health and nutrition. In fact, they spend about 400 more hours in the classroom than their MD peers. Chiropractors are real doctors, and they are just as knowledgeable about human health as your general practitioner. 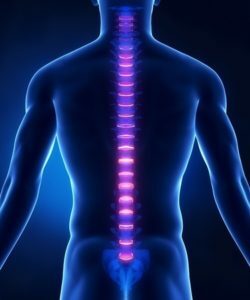 At Denver South Chiropractic, we are here to address any questions or concerns you may have regarding chiropractic treatment. To schedule a complimentary consultation, please reach out to us today.